The Office for Fair Access (OFFA) today (Thursday 26 July 2012) announced that it has approved the University of Southampton’s Access Agreement for the academic year 2013-14. The Agreements, which cover all UK and EU undergraduate students, set out the access measures that universities will put in place to raise aspirations and to ensure equality of opportunity for all who have the potential to benefit from higher education. This includes financial support available as well as outreach activities to encourage under-represented groups to consider higher education as a viable option. For students attending the University of Southampton, the Access Agreement provides a generous level of support for eligible students who enrol at Southampton in 2013. They will be able to choose how they use our generous support package - from partial fee waivers, bursaries or a combination of the two - and tailor it to their circumstances and needs. From 2013 this choice will also become available for students who enrol this year (2012) and comes in direct response to our engagement in listening to our students. Professor Debra Humphris, Pro Vice-Chancellor for Education said, “We are delighted that OFFA has approved our Access Agreement. The University of Southampton offers one of the most generous student support packages in the country which will now enable students to choose in what form they take that support. As part of its commitment to outreach, the University will make a £1 million investment through an initiative called ‘Learn with US’ to raise and realise aspirations of young people. Working in partnership with schools and colleges the programme aims to improve progression, retention and attainment. It is responding to the increase in demand from schools across Hampshire and the Isle of Wight for the University of Southampton to be a real choice for their gifted and talented students. 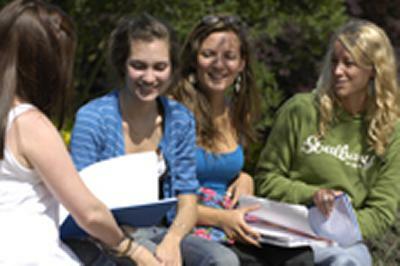 In addition to fees support, all full-time, undergraduate students from the UK or EU will also receive a student entitlement; an annual £300 credit that they can choose to spend on selected services that will enhance their educational experience, such as sport and well-being membership, a campus Arts Pass, membership to student clubs, books and other study materials. Southampton is also offering students an unprecedented level of choice in terms of its curriculum by offering a new range of study modules to enhance the student experience. Many of these new modules have been created by academics working across disciplines to answer some of the world’s major issues. Their research is directly informing the content in topics such as Living with Environmental Change, and Piracy, Security and Maritime Space.